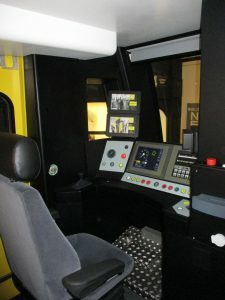 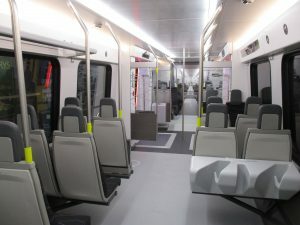 The two Merseytravel reps with the mock-up were really informative and helpful on the day I went to have a look, which was in fact the last day the unit was on display in Birkenhead. My only worry is that there may still, like with the present 507/508 rolling stock, be insufficient space for cycles. 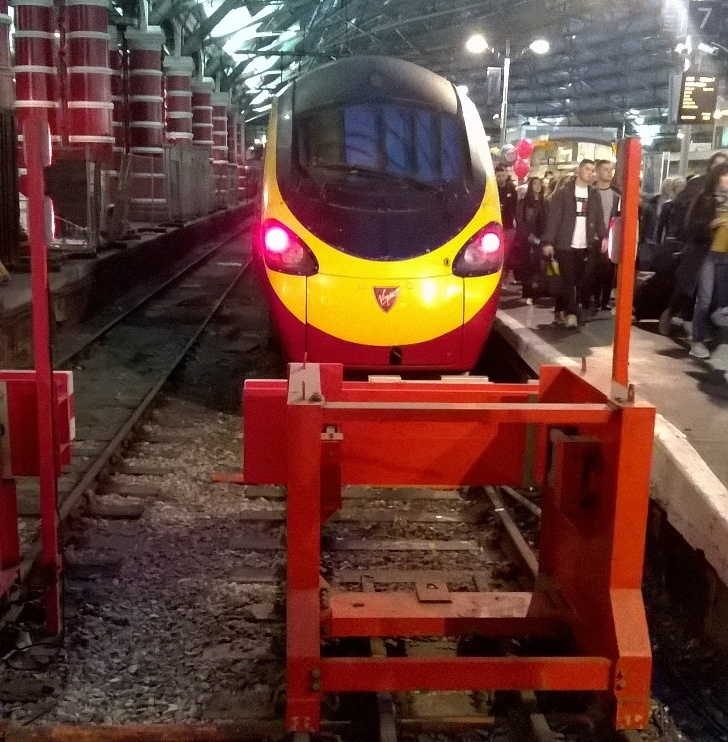 A Virgin Pendolino train at Liverpool Lime Street Station. 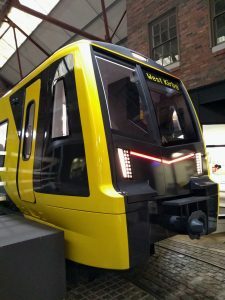 I posted a few days ago about the usually closed (on a Sunday) Ormskirk – Preston Line having trains running whilst Liverpool Lime Street Station is partially shut down for the 2nd phase of its major upgrade this summer. 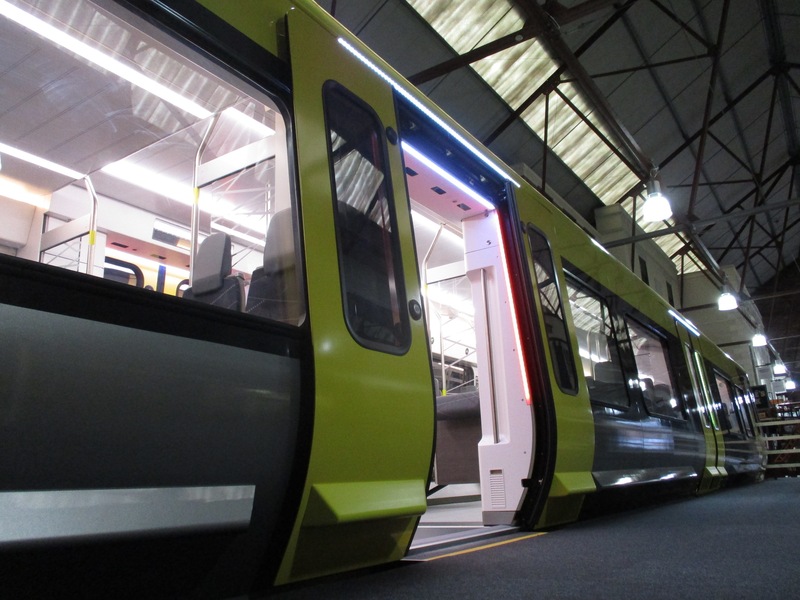 A full timetable is now available and is reproduced above. Please click on it to enlarge for reading. So if you are travelling northwards this summer you can do so via the Ormskirk – Preston Line. 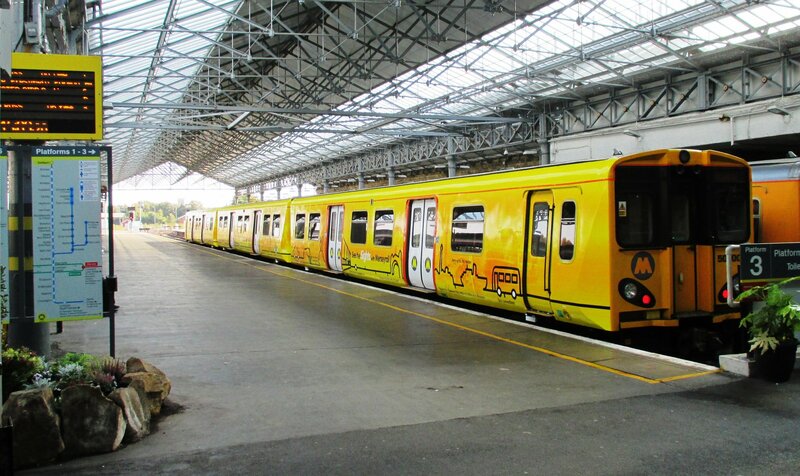 One day all trains will run on a Sunday! 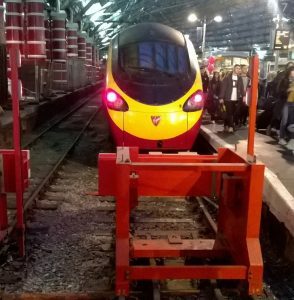 BUT please check before travelling as Northern Rail, who run the trains on this line, are struggling to cope presently and are in the habit of cancelling trains all over the north of England. 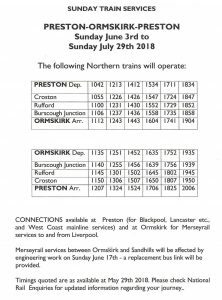 Summer Sunday Service Schedule Preston – Ormskirk Line!!! 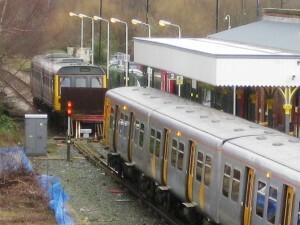 Ormskirk Station – The train in the foreground is Preston bound. 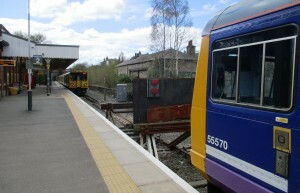 The one behind it is Liverpool bound. 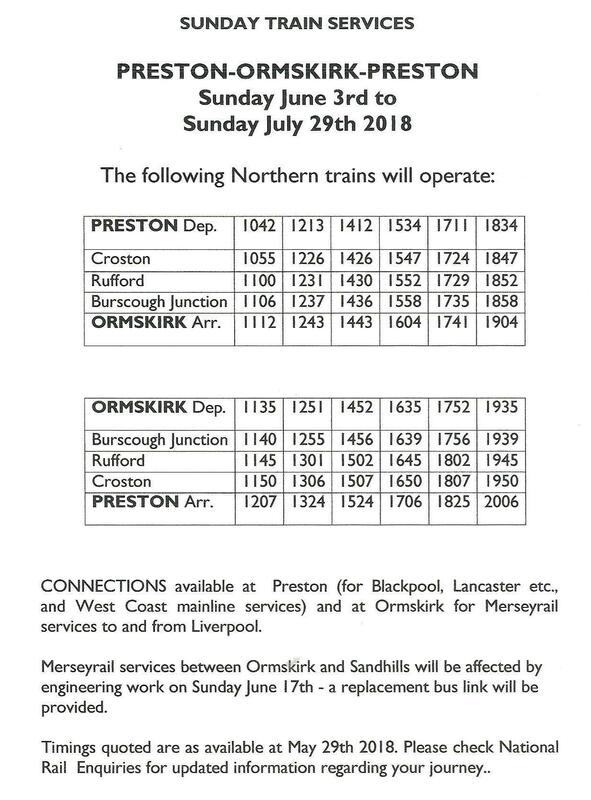 Well it’s because of railway engineering work and the part closure of Liverpool Lime Street Station throughout the summer but hey at least it’s a service on the Ormskirk – Preston Line on a Sunday. Of course the caveat must be, are Northern capable of delivering the service based on their inability to deliver a regular service on many of their lines at presently? 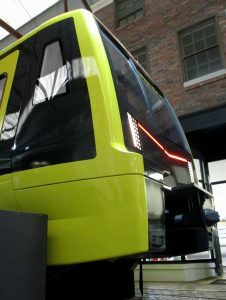 The service will operate every Sunday from June 3rd up to and including July 29th. You will find full times for journeys up to July 8th through online travel enquiries at Northern, National Rail etc. There will be 6 services each way similar to last October, see below. OPSTA (Ormskirk Preston and Southport Travellers Association) will be conducting passenger counts and possibly a survey or two. What will it take for Government to realise that folks want to travel by train on a Sunday all the time, year in year out? 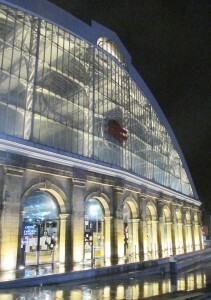 They don’t close Motorways on a Sunday!